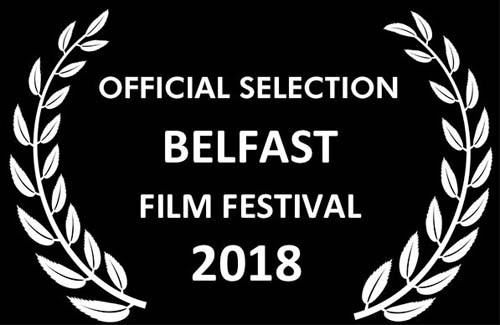 The Belfast Film Festival runs from Thursday 12th – Saturday 21st April 2018 and is open for submissions to its three competition strands (Short Film/Short Documentary Film/Maysles Brothers Award) as well as the Northern Ireland Independents showcase. The NI Independents showcase presents a series of locally made feature and medium length films produced on micro-budgets and developed by their makers with their own money and in their own time. Last year the Belfast Film Festival separated the Short Film Competition into two strands: Dramatic Fiction and Documentary. A short non-fiction film has less opportunities to be seen in a cinema environment, especially if made independently. As such the festival organisers wanted to provide a platform for film makers to showcase the best of these films made on this island over the last year. DoubleBand films will sponsor the documentary short film award, with winners receiving a cash prize. All criteria can be found on the submissions page. The Maysles Brothers Award was founded in honour of the work Albert produced alongside his brother David. Launched in Belfast in 2006 by the legendary Albert Maysles himself, the award recognises the best of new observational documentary work from around the world. For the chance to be part of the 18th Belfast Film Festival through any of the above categories simply complete the online forms and submit your film today. The early bird deadline for all film submissions is Friday 1st December. To view the full list of rules and regulations and to submit a film, please visit the FilmFreeway website.